Butter and yoghurt, milk powder and custard, evaporated milk and cheese — milk is a basic raw material for a broad range of food products. This is what makes working as a dairy technologist so exciting. As an expert, he or she can accompany every single step and is responsible for the quality of the final product. When the dairy trucks drive into the yard, the work of the dairy technologists starts. Prior to processing, they check the raw milk. Most of the work is carried out on highly sophisticated machines and production lines. They have to be set up and monitored in order to ensure the correct quality at all times. Technological understanding is as important for dairy technologists as is a sound knowledge of biology and chemistry. Moreover, working with food requires high hygiene standards. 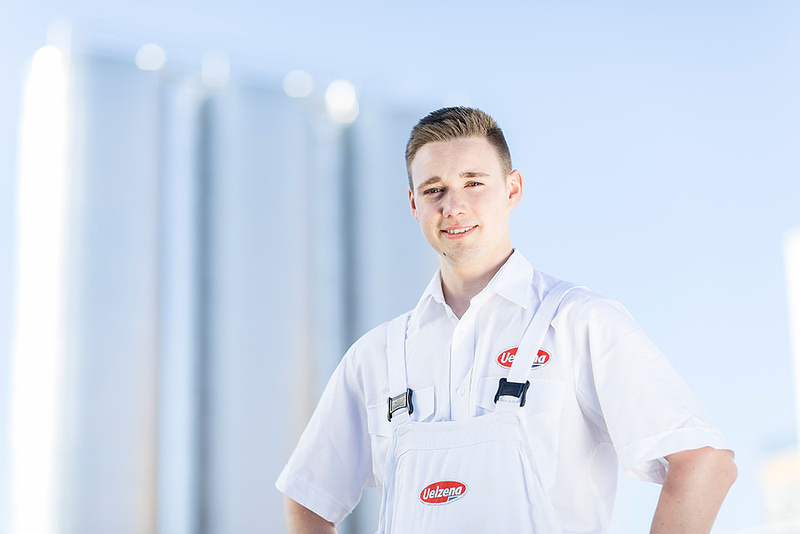 During their vocational training, dairy technologists will acquire comprehensive product knowledge and learn everything about the different milk processing procedures. They become specialists for their type of food. However, after their exams the work of dairy technologists is not limited to dairies and cheese making companies. They are also in demand by research and development organizations or producers of other types of food because of their comprehensive know-how. The Uelzena Group offers its apprentices a broad field of action at four sites involving many specialist products and complex production plants. Each apprentice has the opportunity of becoming familiar with at least one other site and can focus on one main product. Following the exam, more than 90 per cent of candidates are successful in finding a placement at Uelzena. Secondary school qualification or high school graduation (Abitur) with good grades in natural sciences (maths, biology and chemistry). Suitable applicants are selected after the conclusion of personal interviews. The vocational training takes place within the scope of a dual system; this means that the company training and the vocational school run parallel to each other. The practical part of the training takes place in the individual areas of production. During the so called block education at the vocational school, the apprentices live in a boarding school. The costs for accommodation, catering and home travel at weekends are the responsibility of the company. Opportunities to work and to specialize are offered to dairy technologists in all dairy companies and other food industry enterprises. Further education may include master craftsman or technician courses or - subject to a university entrance qualification – the study of food technology.